Saw this Garter snake today....King and Gopher yesterday. More rain on the way....1-3 inches possible YAY! That's a gigas nice find man. Looks like a big one too. How long would you say it is by estimate. They are a hands-off species by the way in case you didn't know that. They're protected. he lives in a hole or den....it is coming out of it in pic. It never moved once..just its head a little..I left it just how i found it. there are more smaller ones i have seen in the same area in the past. Giant garters are pretty difficult to find these days, correct? Or are they still somewhat common in certain areas? Cool stuff yeah it seems to me like the gigas will actually den up together in a place where they have a series of connecting holes. 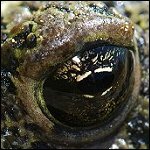 They usually pick a basking site that they return to each day before hunting and then return back to the same hole they emerge from in the evening. I think the smaller ones are probably young that were birthed out by a female residing within the den or possibly just found it on their own as a comfortable and safe place. They don't seem to be territorial at all and I've seen them laying together within the hole systems. RenoBart wrote: Giant garters are pretty difficult to find these days, correct? Or are they still somewhat common in certain areas? They're difficult but in the right spot they're common... It's a hard thing to really explain or even know. All the good gigas habitat is protected. So you have to go to the outskirts of that protected Habitat to actually see one. But you get the rare occasional sighting along the river and whatnot. Because they're an aquatic snake, I think the best way to actually see them would be to float a raft down the canals that run through their habitat. I still haven't done it but I've been thinking about it for a while now, mainly to try to get footage of yellow-bellied racers hunting on the floating aquatic plants near the shore. My lifeer YBR was found out over about 4 feet of water and 8 to 10 ft away from the shore. Probably hunting frogs but who knows maybe tadpoles and fish as well. I netted it with a fishnet as I was wading waist-deep to chest deep in an Elk Grove canal with a childhood buddy. I think if you floated a raft down the same type of canal you'd probably see several giant garter snakes throughout the day hunting and swimming across and probably a lot larger than what you see on the outskirts of protected habitat. But for the most part they're way off in the middle of croplands and Fields where you normally wouldn't see them so it's hard to say exactly how many individuals are out in that stuff... At the spots where I observe them I only see a few individuals, but that doesn't mean that there is a lot more behind the fences. It's really hard to say because it doesn't look like there's good den sites behind those fences and they do seem to like levees for dens. I'm not sure but I think the habitat where the bulk of guy gets her supposed to be thriving was the same place the waterfowl were getting sick and dying. It was because of stuff deep down in the mud being exposed the normally wouldn't get on the animals. Thanks for the info. Sadly, most wildlife has it pretty rough these days. Reno is growing fast and I am seeing more habitat degradation first hand. I don't think it will ever stop! 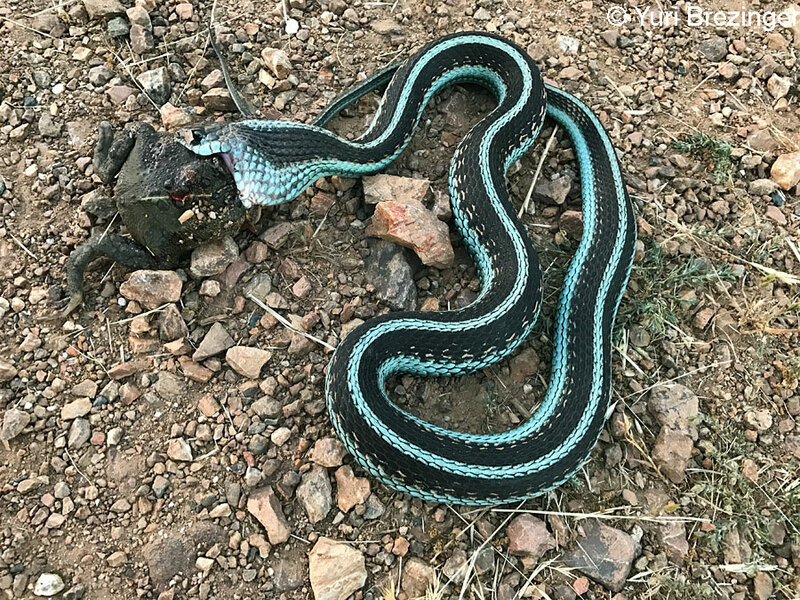 Is this a red sided gartersnake.....or was this a red sided gartersnake i mean? They turn blue after they die..lol I did a post about this and I tried searching for that post so I could link it here but my attempts were failed. I was actually searching for a blue fitchi in Sutter when Brian Hubbs set me straight. For some reason they turn blue after death. I tested it after seeing a normal looking DOR and sure enough it was blue a couple days later. Having said that, it's not entirely impossible to find a living blue fitchi in Sutter... those have been found elsewhere. 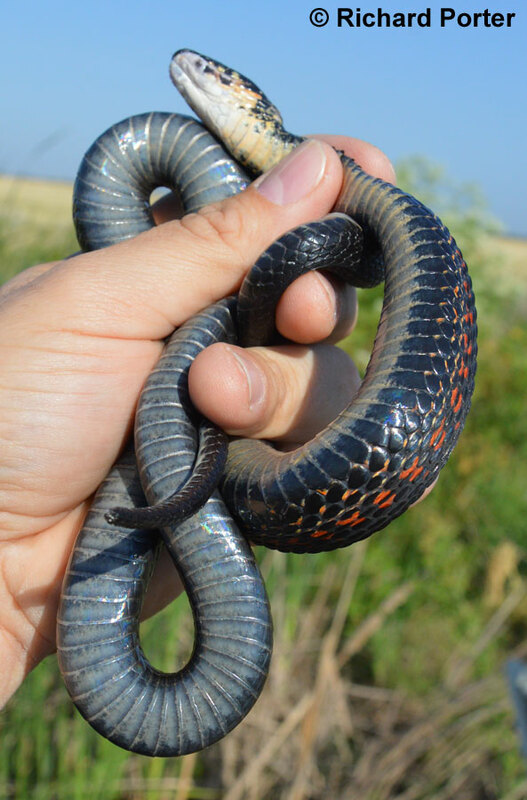 And a melanistic valley garter was photographed with a blue belly and Vivid red siding in the same delta area.